My Votes Are In. How About Yours? There’s still time to read this year’s Mormon Lit Blitz finalists and vote for your favorites. Each finalist is under 1000 words. Several are half that length or less. So put your feet up and head on over to http://lit.mormonartist.net! Voting ends on June 6th. 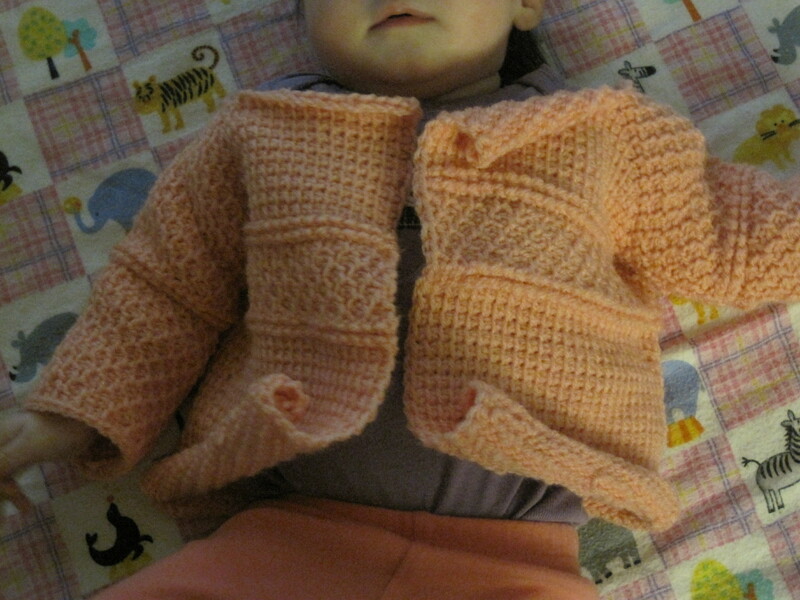 With the move, I’ve been too busy to finish up Baby’s new garb. But she will be wearing it this weekend whether the hems are finished or not. Voting for the winner of Mormon Lit Blitz 2015 will take place in June. Everyone votes for their top 4 favorites, so be sure to read them all. On the crafty side of things, I’ve been keeping busy sewing, namely a dice bag for my brother-in-law and a sideless surcoat for Baby. After my last fiasco with sewing baby clothes, I figured I better try a garment that can’t go wrong (famous last words, right?). Pictures to follow. 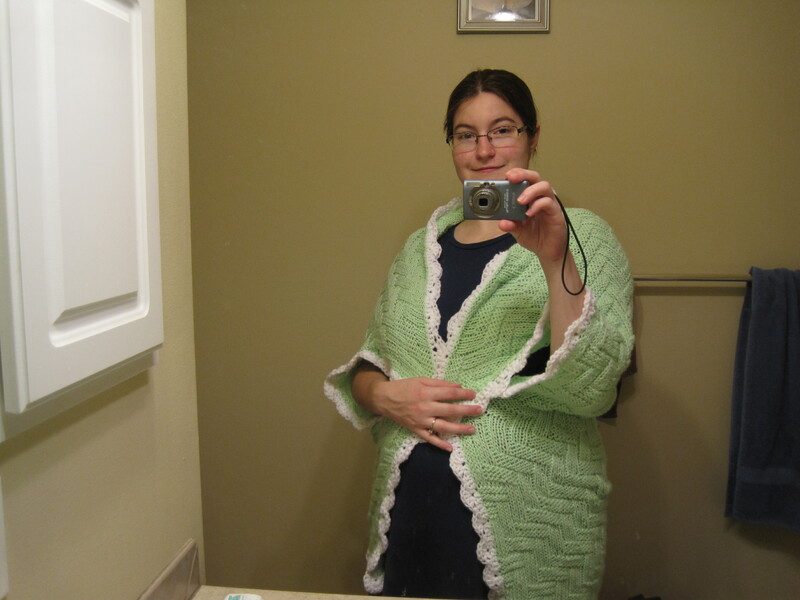 I saw pictures of this style of sweater online, and the first thing I did was go back and find the tutorial I encountered once for a Tunisian Ten Stitch Blanket. Makes total sense, right? No? 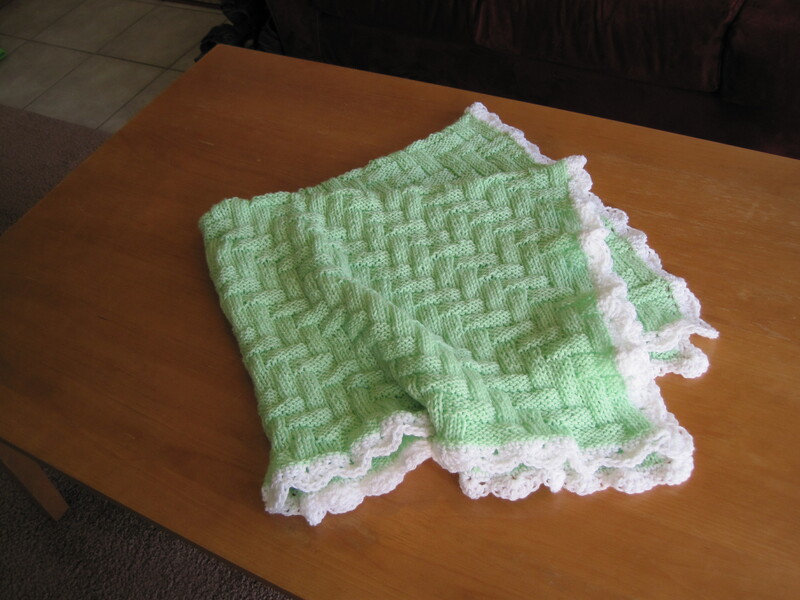 Well, I wanted to learn how to join diagonals and sides as I crochet, and this teaches it all. I worked each of the five sweater pieces (right front, right sleeve, back, left sleeve, and left front) from the neck down, joining to the previous pieces at the shoulders and sides as I went. 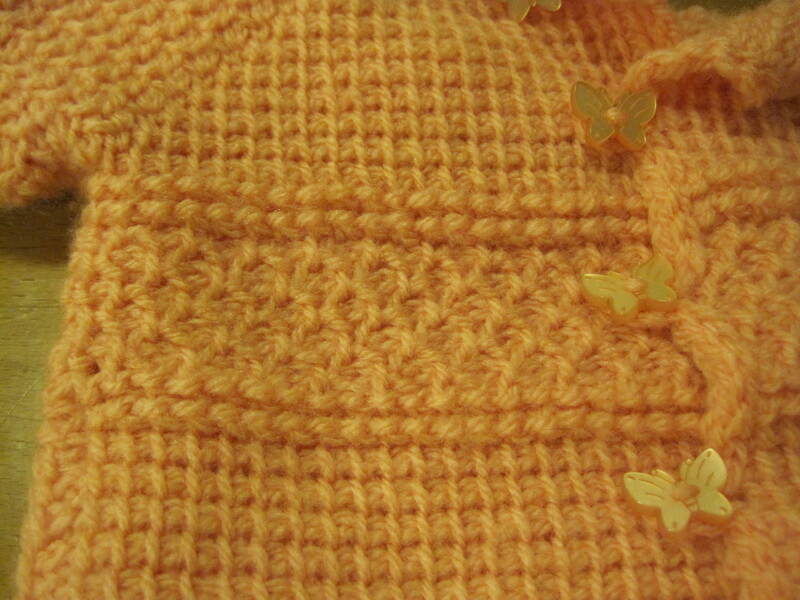 And the decorative stitches are ones I learned from My Tunisian Crochet, an awesome blog I have highlighted before. I hope to work out the kinks in this pattern and write it all down, because I found it an attractive and relatively simple way to make a sweater. 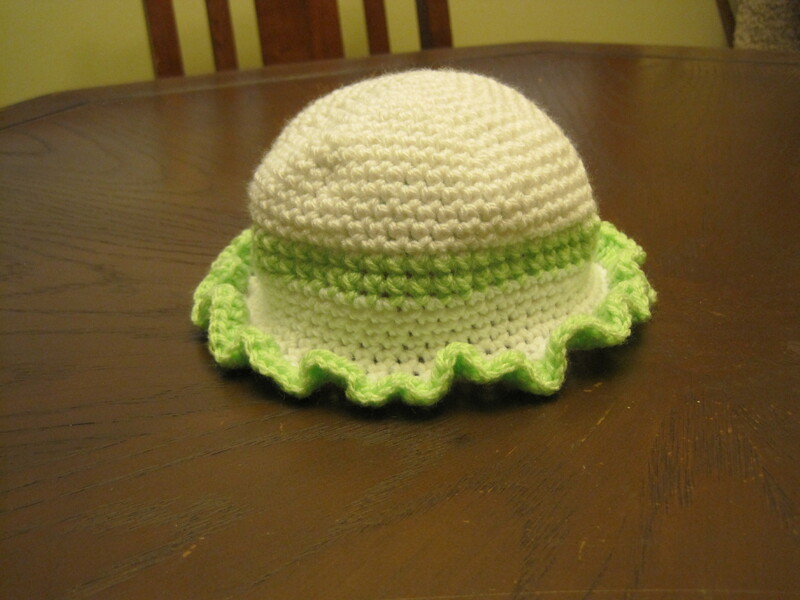 There are lots and lots of cute and simple baby hats out there. Here’s one that I made up. 5mm hook, light weight yarn. It’s so easy to change this pattern to fit any head or work with any yarn. Just add more or leave out some increasing rounds and even rounds. 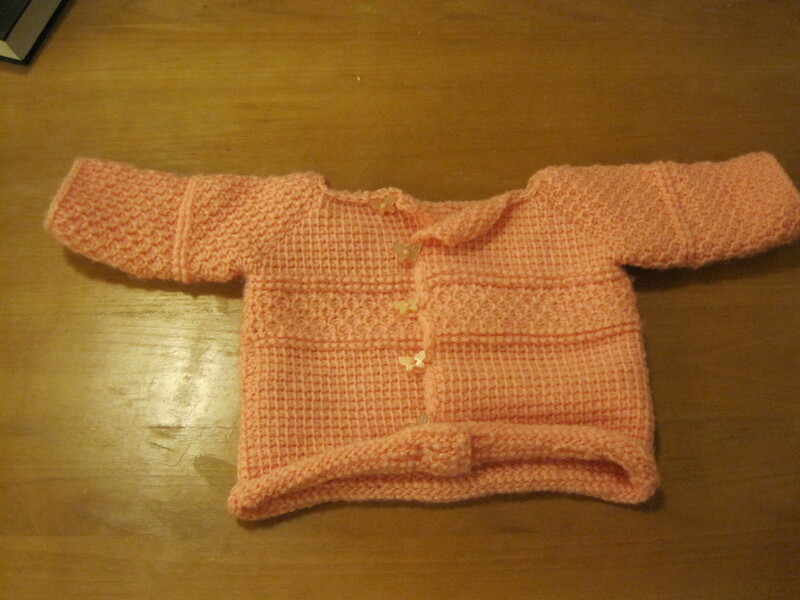 I had never tried to make clothing for children before. I assumed sewing a medieval dress for my baby would be like making a dress for an adult. Part way through sewing the pieces together, I discovered that I could not get the dress on her. Apparently, non-stretchy garments have to be quite a bit bigger than the baby they’re intended for. After fiddling around with adding more panels to the dress, I finally ran out of time and gave up. Baby went to the faire in her mundane clothes. I’m working on my baby’s first medieval garb for an event tomorrow! She’ll certainly grow out of it before the next event we attend, but I figure I can save it for our next child. The great thing about t-dresses and t-tunics is they are exactly the same except for the length, so I can use it again even if we have a boy. I’m making a pair of booties for Baby. They’re based loosely on this pattern, which I like because it doesn’t require sewing any pieces together or weaving in lots of ends. Each bootie is one string of yarn from start to finish (well, plus the optional drawstring or ribbon). And right now, anything I can simplify is great. 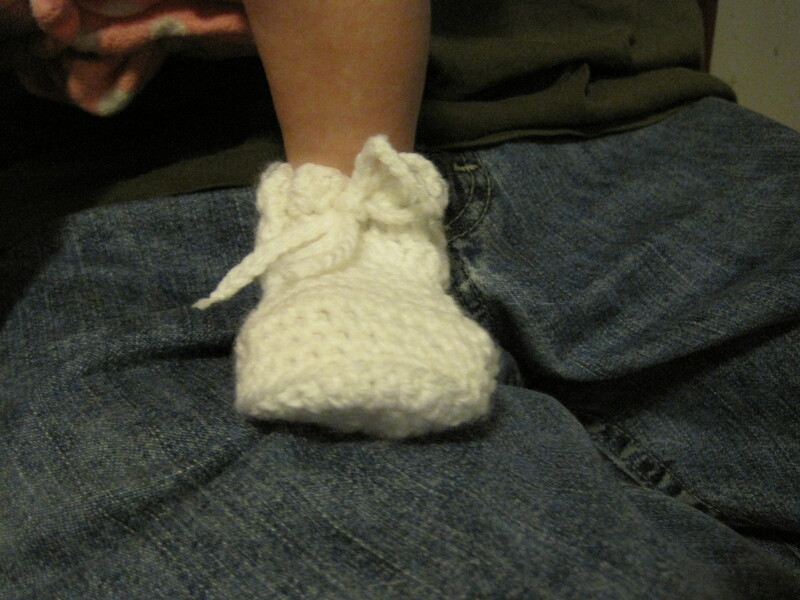 My baby has very long feet, so it took me two tries to get the sizing right, but the first bootie is finished. I’m not sure why I’m so adverse to taking book recommendations, but I rarely read things other people recommend. Sometimes I do. Like the other day, when I put a whole slew of books on hold at the library. An odd assortment? Yes. Also, far too many for me to read before they all come due. We’ll see how far I get. I do have my bum glued to the couch for several hours a day thanks to a hungry and adorable baby girl, so I ought to make fair progress. My first flash fiction piece got its first rejection! That’s all right–I have another story ready to send to Daily Science Fiction, and there are lots of other places to submit short fiction. …If I could just find the time to search them out and read over their guidelines. My daily schedule is…non-existent. Every day I get an unpredictable amount of sleep at unpredictable times. Everything (and I mean everything) takes a back seat to baby. Those of you who have kids know how it is. How did/do you scrunch writing in alongside 24/7 baby care? 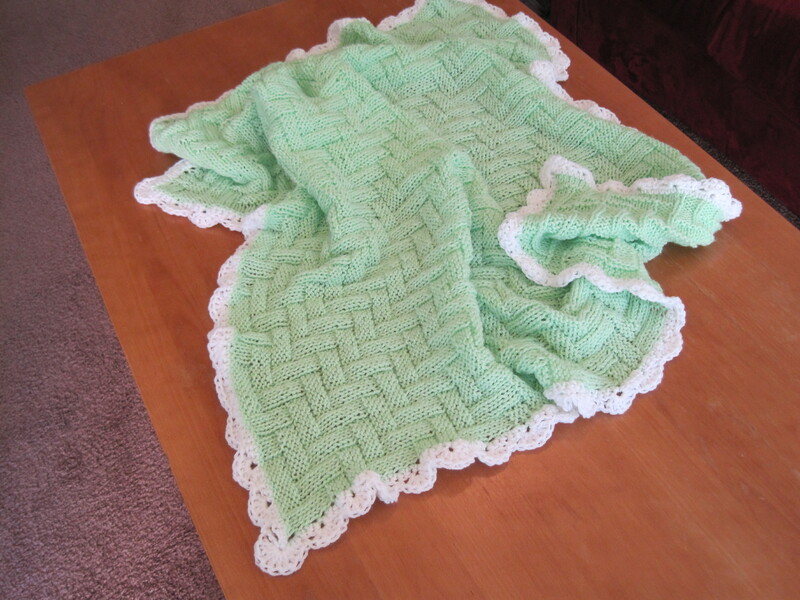 Yesterday I finished up the light green baby blanket I’ve been working on. Still with a month to spare! I thought a round, frilly border would be a good accent for this very geometric pattern, so I whipped up some shells around the edge. The border went so quick that I somehow felt I was cheating or being sloppy. 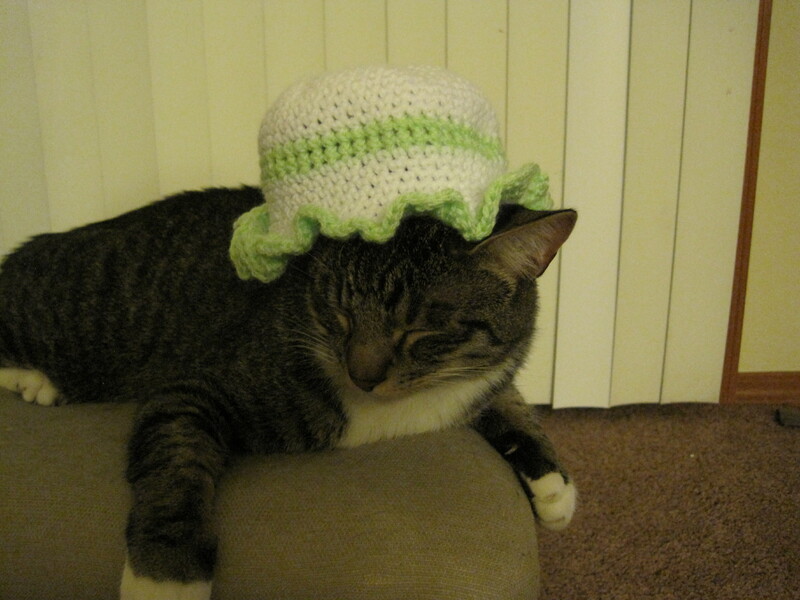 I guess crocheting still comes easier to me than knitting. 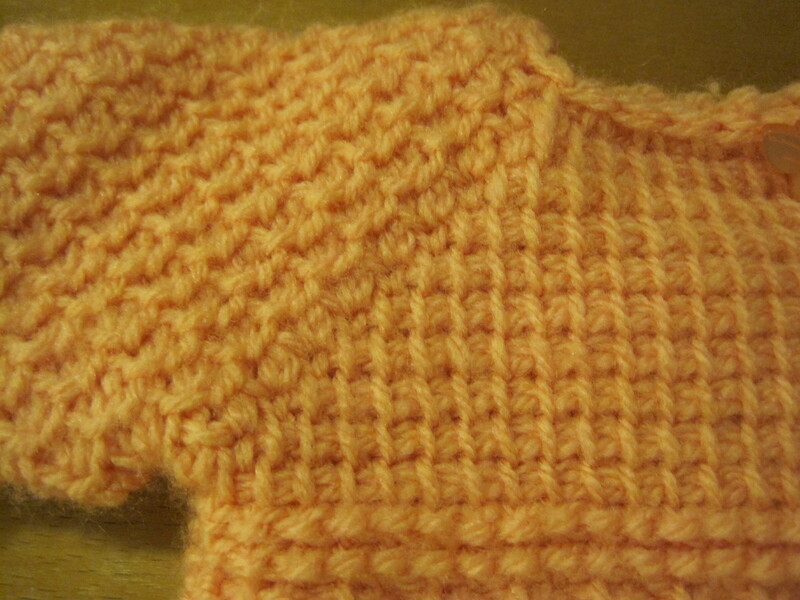 I used size 6 (4.25 mm) needles with light weight yarn, so it turned out quite stretchy and light. 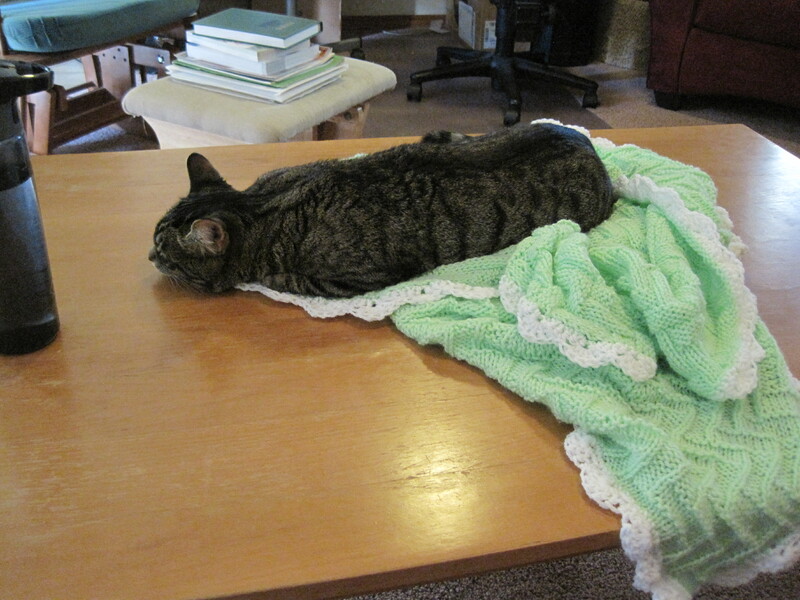 Then I went and used some huge crocheting hook (size K, 6.5 mm) for the border so it would be as stretchy as the blanket. It also makes a nice sort of wrap to wear. Anyway, it has Pippin’s approval!